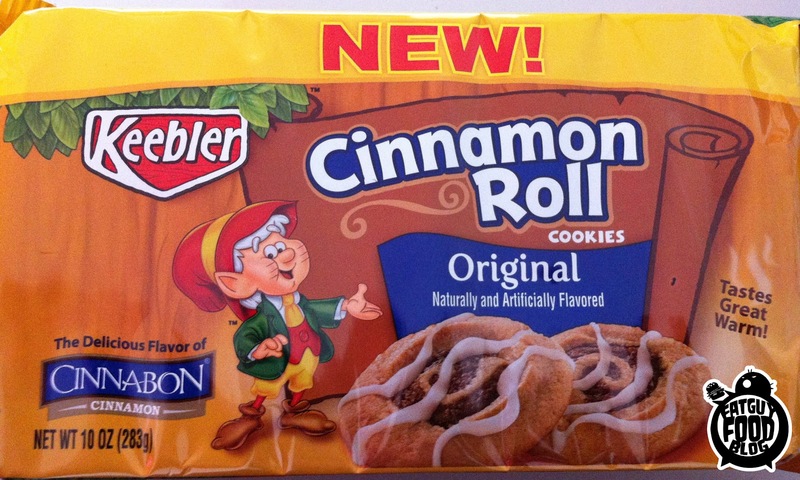 First, congrats to Keebler for having a cookie that actually looks exactly like it does on the package. If you like cinnamon rolls, buy these cookies immediately. Because they aren't cookies. They're cinnamon rolls beat up and jammed into cookie form. They couldn't taste more like cinnamon rolls unless they were in fact, cinnamon rolls. They're also really chewy, so they're kind of better than cinnamon rolls, since sometimes they get cooked too much and are airy and flavorless. Honestly, a mushed up cinnamon roll is the best way to describe them, even though that's a gross image. 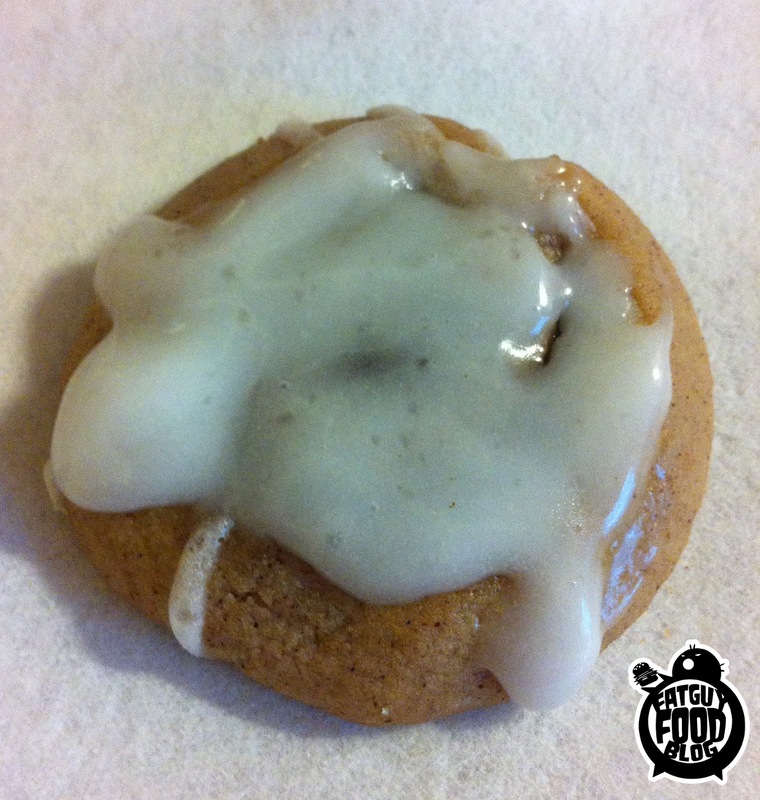 The frosting is nice and adds a bit of a crunch, the cinnamon is strong, and the cookies are small, meaning their strength works- these are eat-in-small-doses cookies. The only negatives about these are that they may actually be too strong for some people. Maybe the Cinnabon logo on the package is a warning that cinna-wimps need not apply. There is a LOT of cinnamon flavor in these little monsters. The other negative is that there isn't enough frosting. Both for flavor and crispiness, it adds a lot, and these should be much more covered. I decided to step it up though, and follow the advice on the bag, microwaving them for maximum cinnamon roll effect. AND, because I'm a fat, disgusting slob, I just so happen to have a small container of frosting left over from my last trip to La Festa. Dare I dip the cookie into said frosting? Oh, I do. I do dare. 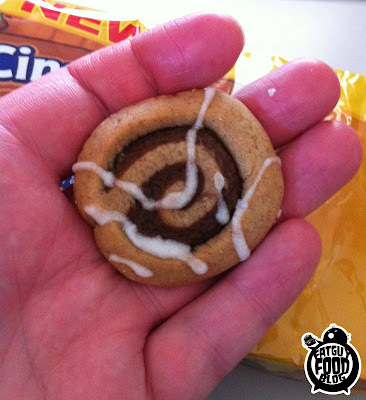 The cookie was instantly better warmed up, and infinitely more cinnamon roll-like. And the extra frosting was incredible. There's a joke with the picture above, but I'm not gonna make it. You know how good it was. I should probably go buy more frosting from the store immediately. Anyone unfamiliar with this blog would have some crazy ideas about that last cookie. Crazy ideas! Yup, I'm sure I'm thinking of the same joke (or at least on the same wave length)! 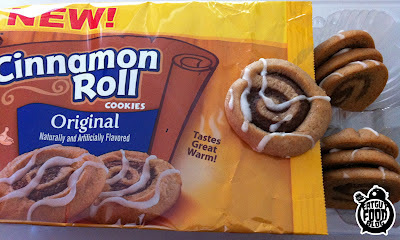 My only thing is that I love the slightly under-done inner portion of those pop-n-fresh cinnamon rolls which I doubt the cookies can replicate. 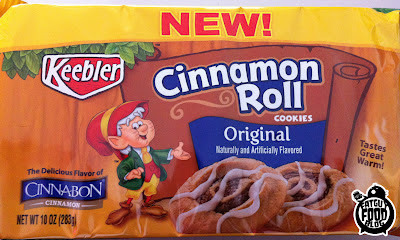 And, for the record, I actually prefer the orange sweet rolls to the cinnamon rolls. Did you also try the caramel pecan variety of these? They sound good, as well. In my history of trying out new products that bare the Cinnabon logo from cereals to Pop-tarts not ONE has executed the behemoth perfectly. As a matter of fact, I don't think I've come across any product cross-marketed with a popular name-brand conception (Reese's) that's has accurately replicated their signature flavor. A man can dream though..